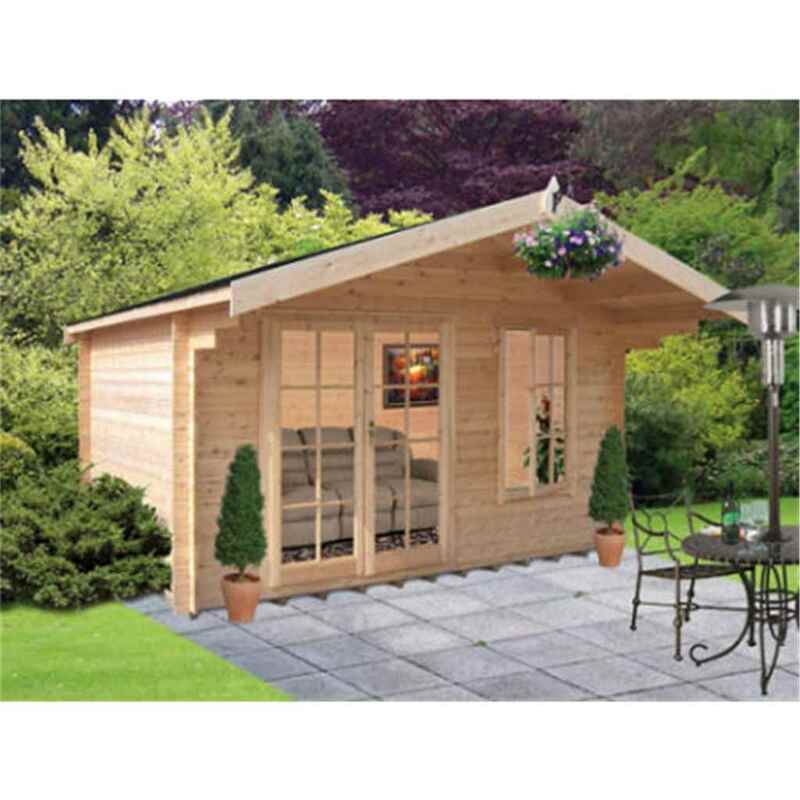 The size of the Log Cabin makes it extremely versatile for whatever use you have in mind and the generous headroom gives one the feeling of spaciousness. Thick roof beams and high quality timber walls inside the log cabin are both comforting and aesthetically pleasing. All windows and doors are handcrafted joinery and are fitted with the draught seal system ensuring that heat is retained. A log Cabin is built to last - the log cabin gains its strength and stability from its corners and the 4 way corner joints used in their log cabins ensure their log cabins are sturdy and will withstand all weather conditions so you can relax in a Log Cabin whatever the weather.